What's the key to a successful Valentine's Day this year? Gifting loved ones with this practical yet romantic bottle opener! 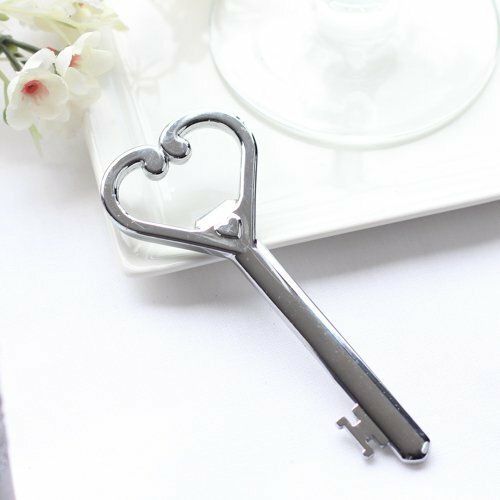 Fashioned after an antique key, this gift symbolizes your love for one another... as well as your love for opening bottles. Show the ones you care about that they hold the key to your heart with this loveable gift. Key opener is made of chrome and does not tarnish. Comes gift wrapped in a clear-topped gift box, and tied with sheer white ribbon. Thank you tag included.